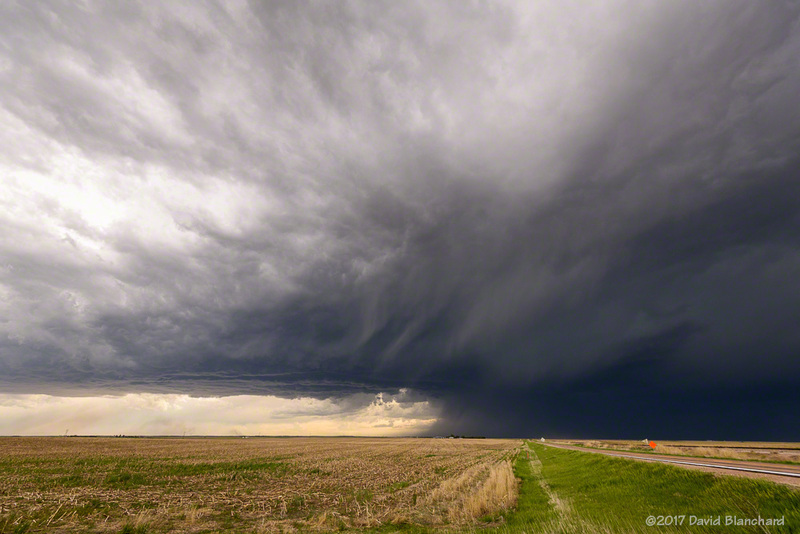 We spent about a week doing storm photography across the central and High Plains in mid May. 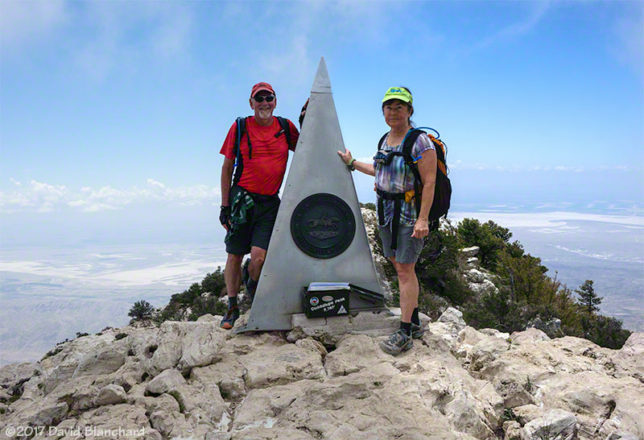 Below are summaries with photographs. A strong southwesterly flow aloft continues across the midsections of the country so that adequate wind shear is present across large areas. The best shear, however, is across the northern High Plains and upper midwest, with less shear across the central Plains. A dryline is present across western Kansas and southward with adequate moisture to the east and a plume of moisture has moved northwestward into western Nebraska, western South Dakota, and northeastern Wyoming. 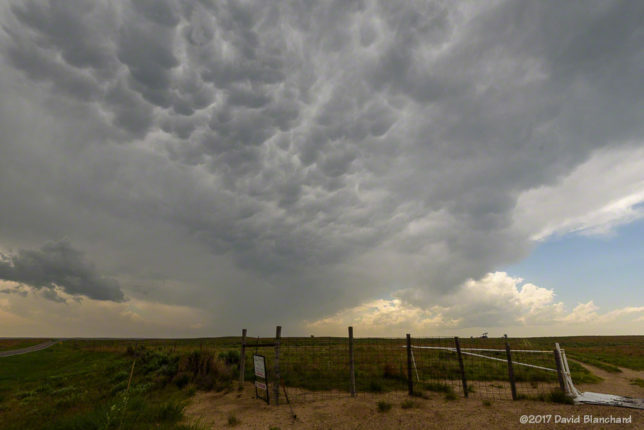 After looking at too much model data, we decided to head to eastern Wyoming with hopes of storms developing over the Laramie Range and then moving to the northeast. Finding ourselves in Lusk, Wyoming, in mid afternoon, it became clear that the northern storms were too far away to reach. A storm we had passed earlier near Chugwater continued to develop so we backtracked south from Lusk to Lingle, then southeastward. We ended up in endless light rain and some small hail until we reached Mitchell, Nebraska. 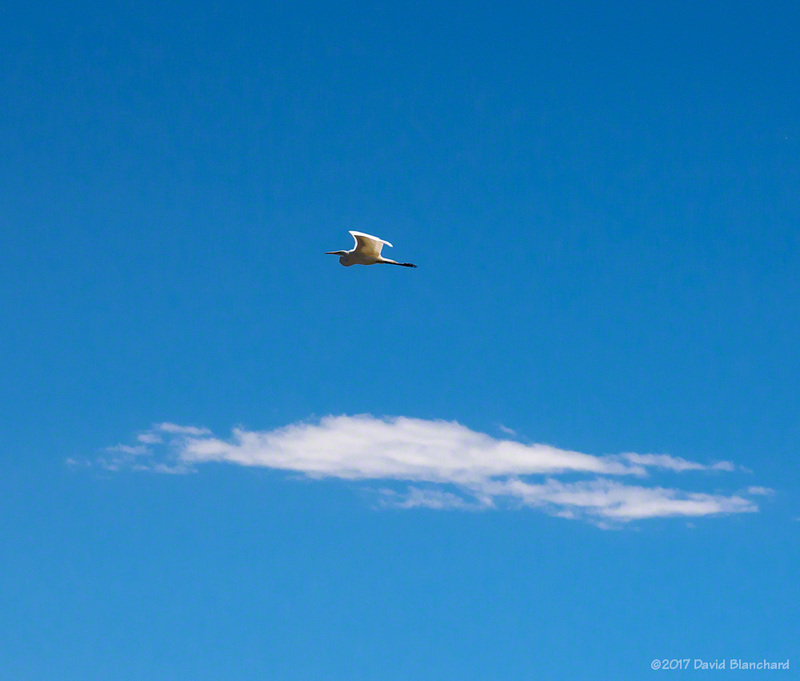 I took a few photos here of a weakly rotating updraft then headed east and north to watch the storm. It wasn’t very impressive. We headed back to Scotts Bluff, Nebraska, for a hotel and dinner. As we left the hotel, new storms to the west were producing continuous in-cloud lightning and occasional cloud-to-ground lightning. 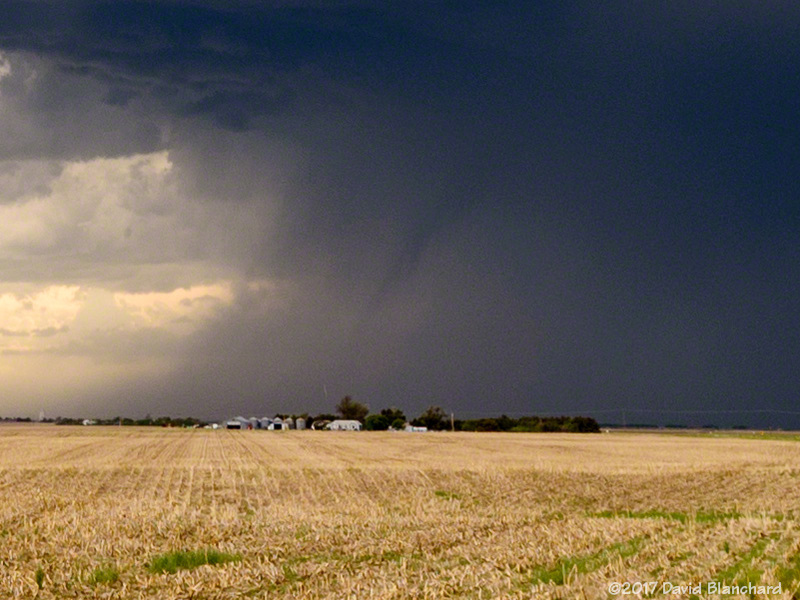 We went north of town and spent about 15 minutes photographing the storm and lightning. 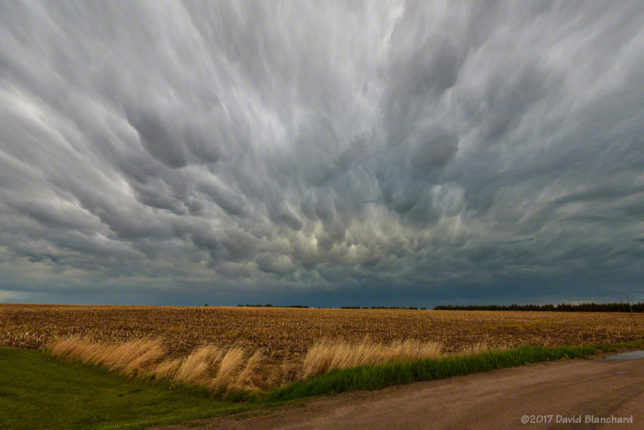 Two-image panorama of a weakly rotating storm updraft. Laminar bands preceed the main storm while continuous in-cloud lightning lights up the storm. We left the storms and headed back into town for dinner. While eating, we got to enjoy the storm as it moved across town with heavy rain, small hail, and gusty winds. The strong southwesterly flow continues across the region today. The best CAPE is well to our south but adequate instability will be present for some storms. 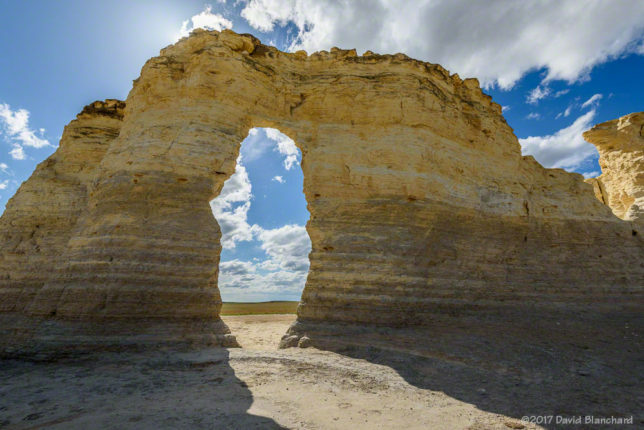 Our initial target is the McCook area but first we make a stop at Scotts Bluff National Monument. We drove to the top of the bluff and walked around the short loop trails. Plenty of wildflowers. 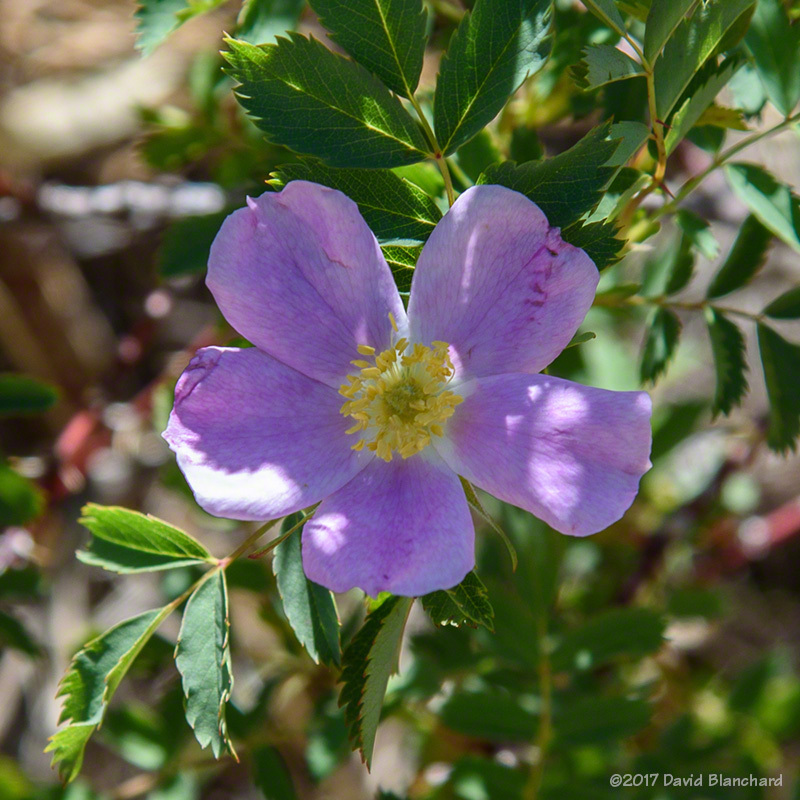 Wildflowers at Scotts Bluff National Monument. Convection allowing models (CAMs) suggest the first batch of strong storms will develop across Kansas; a secondary set of storms will develop in eastern Colorado and move into southwest Nebraska. This is our target. 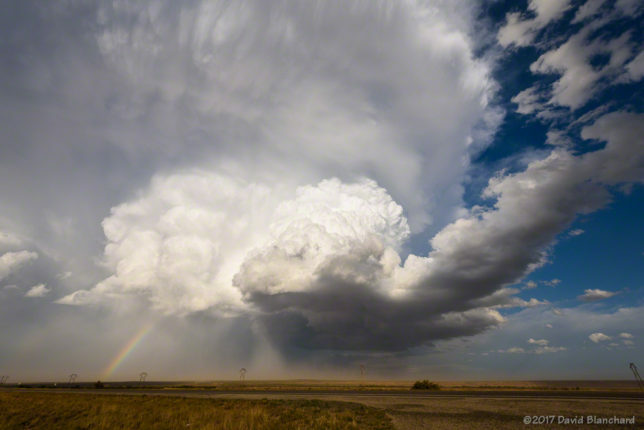 A supercell thunderstorm approaches from the southwest. As above, but zoomed in to show a small tornado embedded in the heavy rain. We turned south at Ogallala as a storm in northeast Colorado moved towards us. In Grant, Nebraska, we went west a few miles and found a spot with a wide view to the west and southwest. I set up both camera and video and shot for a while in this location as the storm approached. I thought I saw a brief tornado embedded in the rain. 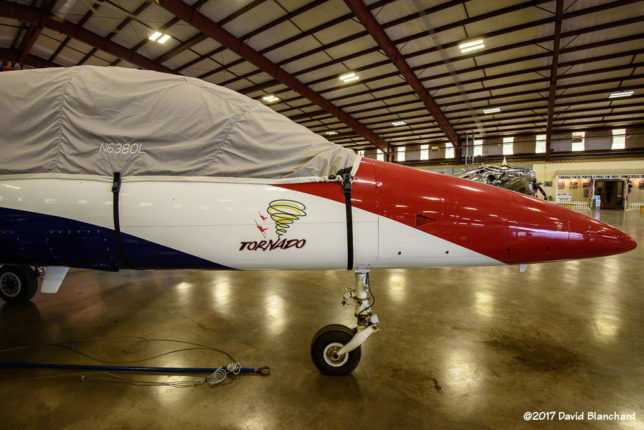 Later inspection of video and photos confirmed a tornado. Cumulonimbus mammatus clouds fill the sky. We left Grant and headed east to stay ahead of the storm and potentially large hail. As the afternoon came to an end, the storm gradually weakened as it moved to our north. No storms expected in our area today so we take our time traveling to our next location. 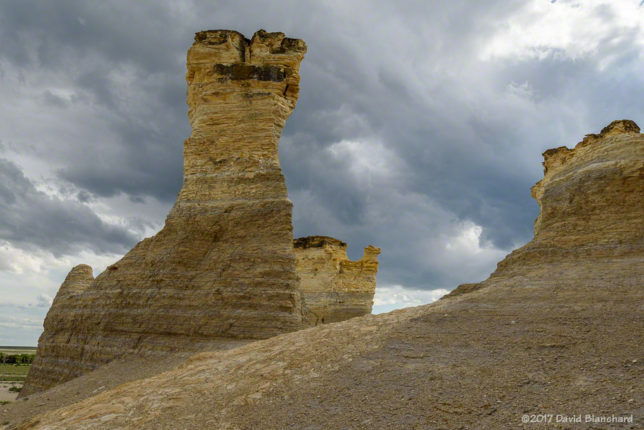 Along the way, we stopped at Monument Rocks south of Oakley, Kansas. Ironically, a weak thunderstorm developed to our west while we were there so we left before any rain fell on the dirt roads. We spent the night in Garden City, Kansas, to set up for our next chase. Approaching convection at Monument Rocks, Kansas. Today’s situation is complex. An unseasonably strong upper-level low is moving across the southwest. Heavy snow is expected on east-facing mountain slopes of Colorado. Instability and shear will be high-to-extreme across the central Plains. Large hail and tornadoes are likely. CAMs are not in agreement where storms will form but there seem to be two general solutions from which to chose. The strongest storms will develop on the dryline and move across Oklahoma and Kansas. A second area may form north of the dryline bulge near the low pressure center and the warm front. This area will have less instability but more helicity and becomes our choice for location. 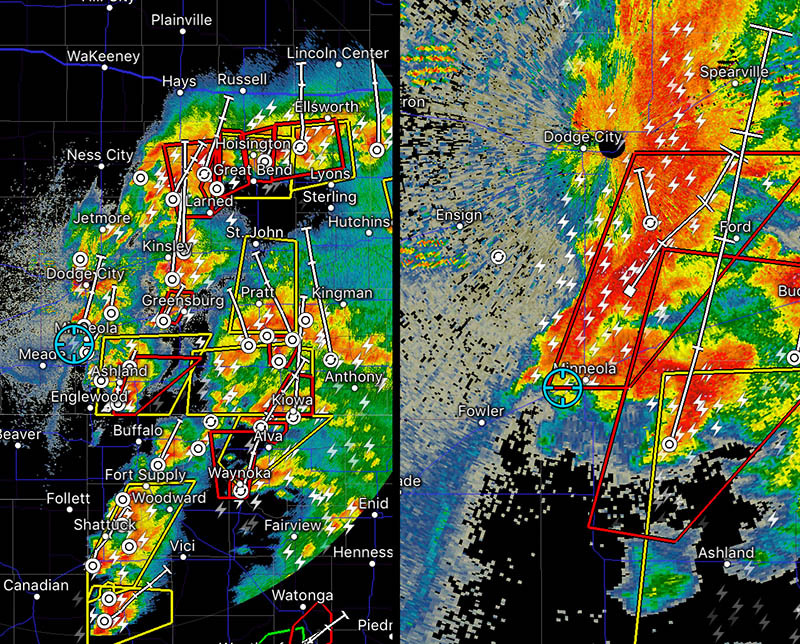 Storms everywhere with spreading anvils. We head south from Garden City and into the Oklahoma panhandle and then head east. The storms along the dryline moved NNE at 30-40 knots and quickly cut off our access to locations farther east. So we headed north to intercept any storms that might form north of the dryline bulge. And many storms did. We had to duck and dodge to avoid hail cores. Finally, we found ourselves heading southwest on US54 near US283 where we watched a storm develop rotation, get a Tornado Warning, and listen to the sirens in the nearby town of Minneola, Kansas. While watching this storm, a new storm formed to our southwest and we escaped to the west—but not before catching some sub-severe hail. Close call! Eventually, we gave up because storms were forming everywhere with no safe passage and we ended up in Liberal, Kansas for the night. And only one storm photo. The front has continued to push south and, once again, we awoke to low overcast and cool temperatures. Convection will be present all along the front from central Kansas, through Oklahoma, and down into Texas—and was already in progress. Not a good sign. Conoco station in Shamrock, Texas. We chose to head south into Texas. 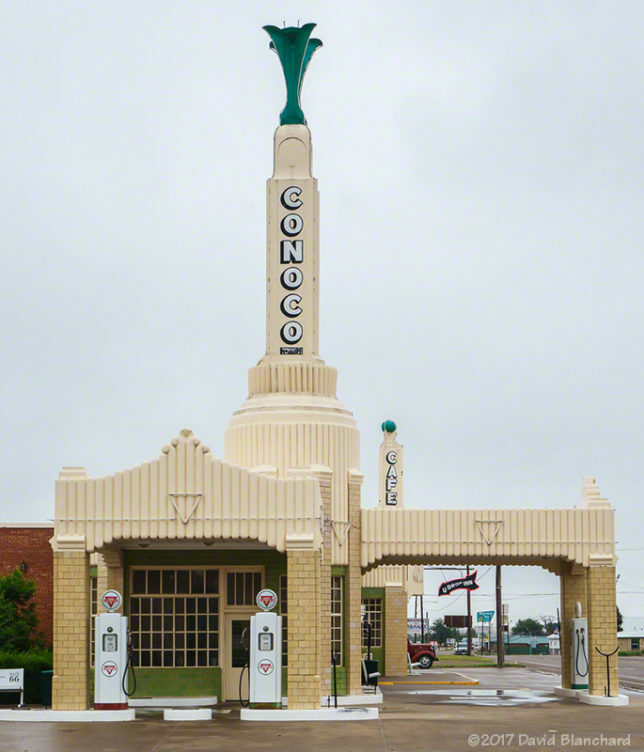 We stopped briefly in Shamrock, Texas, for lunch and snapped a few photographs of the well-preserved Conoco station at the corner of RT83 and RT66. Eventually we had to choose between the convection near and south of Wichita Falls, Texas, and another area near Abilene, Texas. 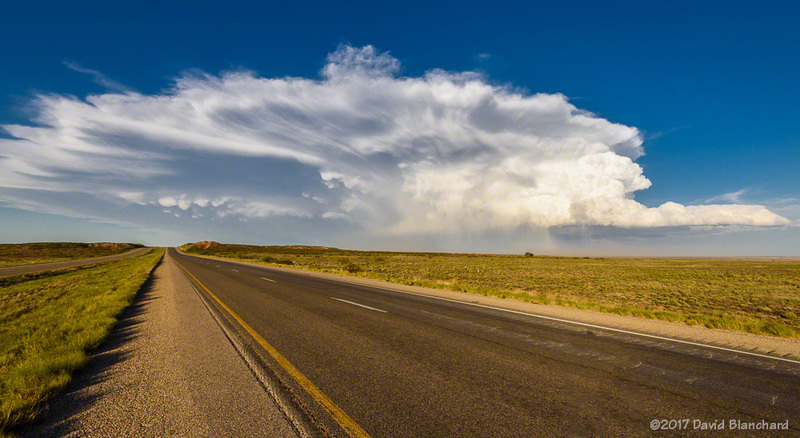 We went east towards Wichita Falls but storms were not very interesting when we got there. We redirected towards the southern storms on the leading edge of the front. Although storm motion was to the NNE, the front was pushing south so the storm group velocity was away from us and we never caught up. 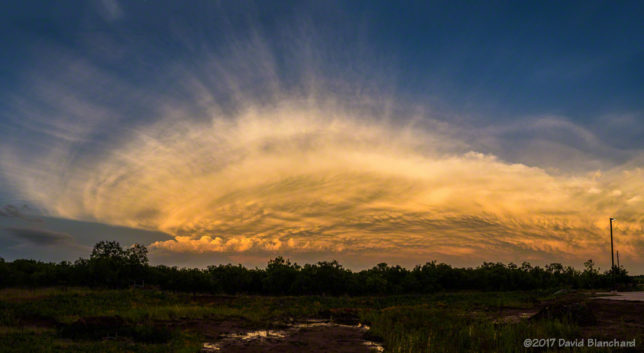 Thunderstorms at sunset in Abilene, Texas. Sunset colors on thunderstorm anvil. In Abilene, we ended the chase but continued to watch storms for any interesting sunset colors. 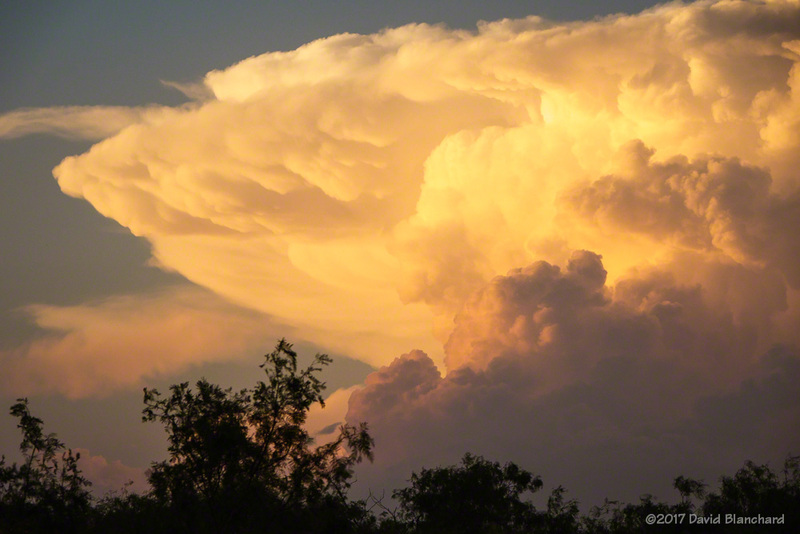 We were not disappointed as a massive anvil with mammatus was lit up by the setting sun. It’s a down day for storm chasing. The cold front has pushed too far south and we’re not going after it. Instead, we head west along I-20 and make a stop in Midland, Texas, to visit the Commemorative Air Force Museum. 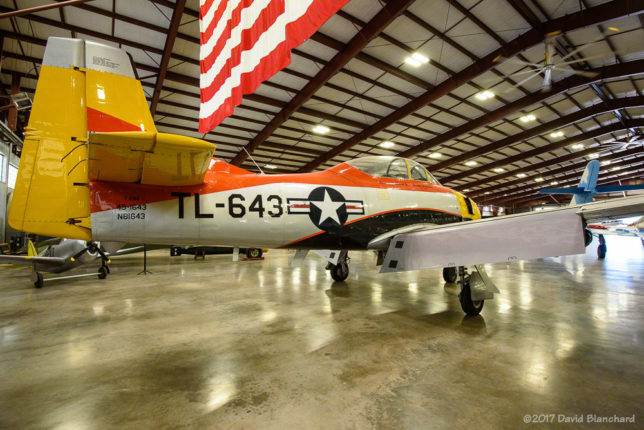 It has a handful of smaller aircraft—plus one F-14A Tomcat—in the hanger as well as many exhibits and displays. It’s very interesting and worth the stop. 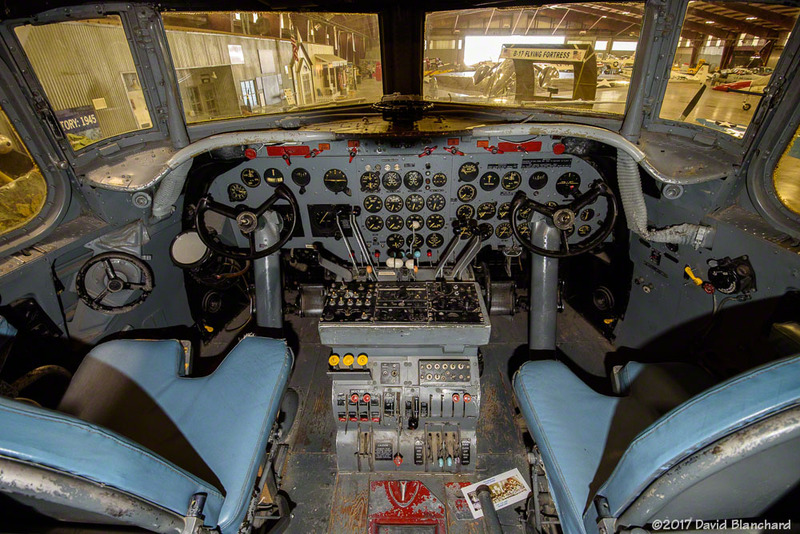 Commerative Air Force Museum, Midland, Texas. 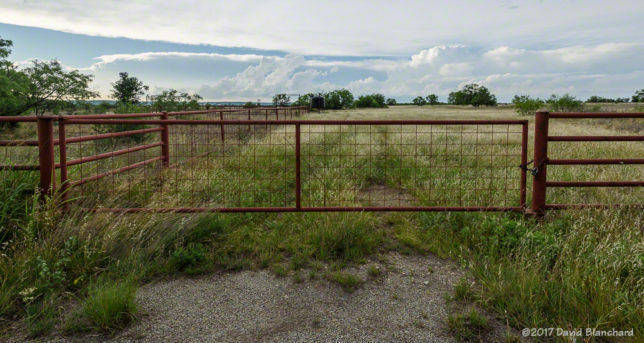 We push on and stop in Pecos, Texas, in the oil fields of the Permian Basin. The cold front is still far to our south and we are not interested. 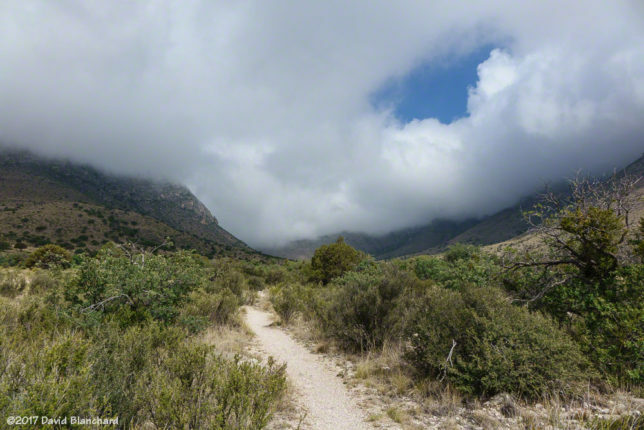 Instead, we head to Guadalupe Mountains National Park, located on the Texas/New Mexico border. We hike to the summit of Guadalupe Peak, the highest point in Texas at 8751 feet (2667 m). Clouds envelop the Guadalupe Mountains. 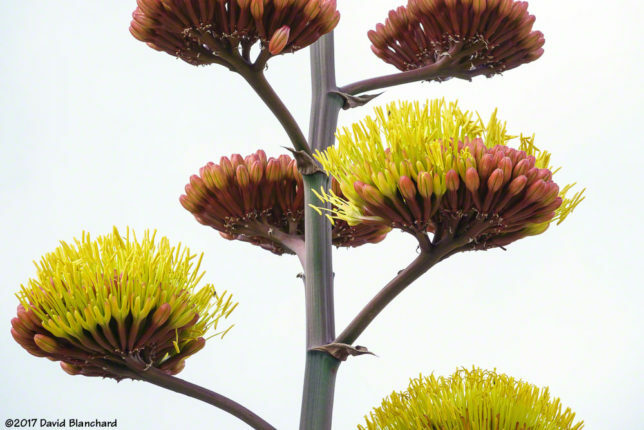 Blooming yucca plant in Guadalupe Mountain National Park. The weather is cool with low clouds much of the day but no rain develops. We drive from GMNP to Artesia, NM for the night. Tomorrow may bring a Slight Risk back to southeast New Mexico and this is a good starting place. A post-frontal southeasterly flow has developed across the High Plains of New Mexico and there is a chance of interesting storms developing. Moisture has pushed westward into NM with dewpoints in the 50s and even a few low 60s. With strong flow aloft there will be adequate shear for storms to rotate although they will likely be high-based storms. Art in downtown Artesia, New Mexico. CAMs show that our current location in southeast New Mexico is where we need to be this afternoon so we stay put. 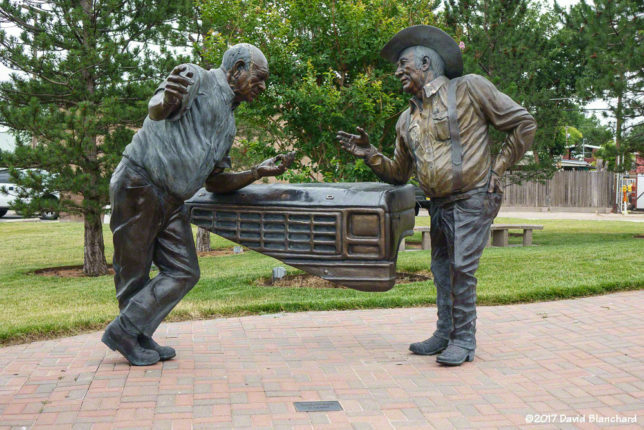 We walk around downtown Artesia, NM to view the art—mostly statues—that depict the history of the area. Severe thunderstorm, southeast New Mexico. 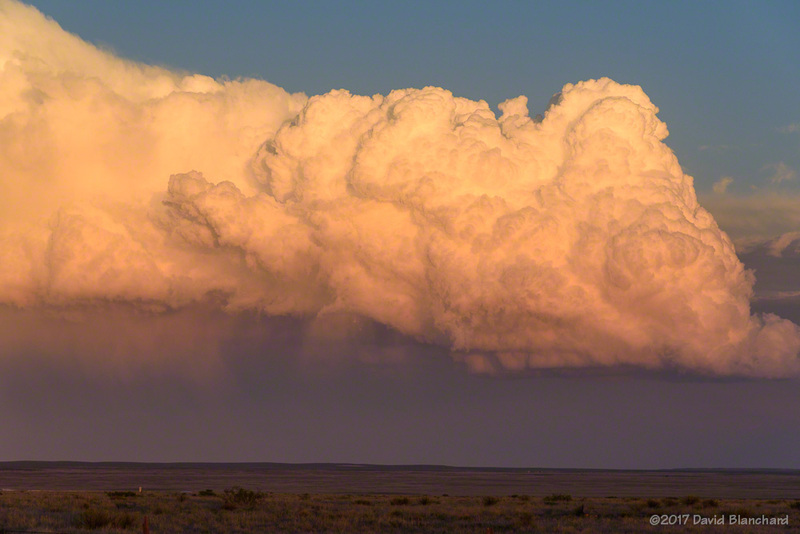 Sunset colors light up the anvil of a thunderstorm over southeastern New Mexico. After lunch we begin to monitor the sky. Storms develop quickly over the mountains and move to the east. The strongest storms are well to our north and out of the area depicted by the models as the best target. Hard to know what to do. Eventually, storms begin to develop into a line in our area and we head north to avoid getting caught in large hail. We grabbed a room in Roswell, then head back out again for a severe storm (with rotational couplet) to our northeast. We get close and watch it move by with rotating updrafts clearly visible. After it moves to our southeast, we reposition east of Roswell and watch the colors on the storm and anvil as the sun sets. It’s time to head home. The pattern is changing and there will not be anything of interest for the next several days. We stop in Bosque del Apache National Wildlife Refuge and spend a few hours. 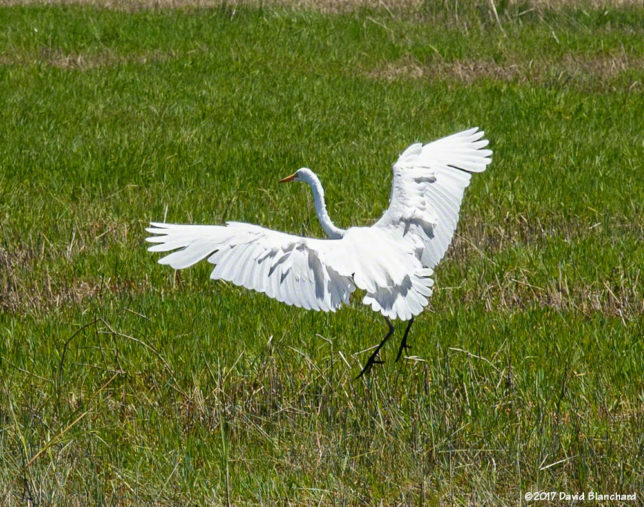 This is the off-season for bird watching and photography but we still find a few birds of interest. Our next stop was Pietown, New Mexico. And I forgot to take a picture of our pie before we ate it. You will just have to take my word that it was wonderful!